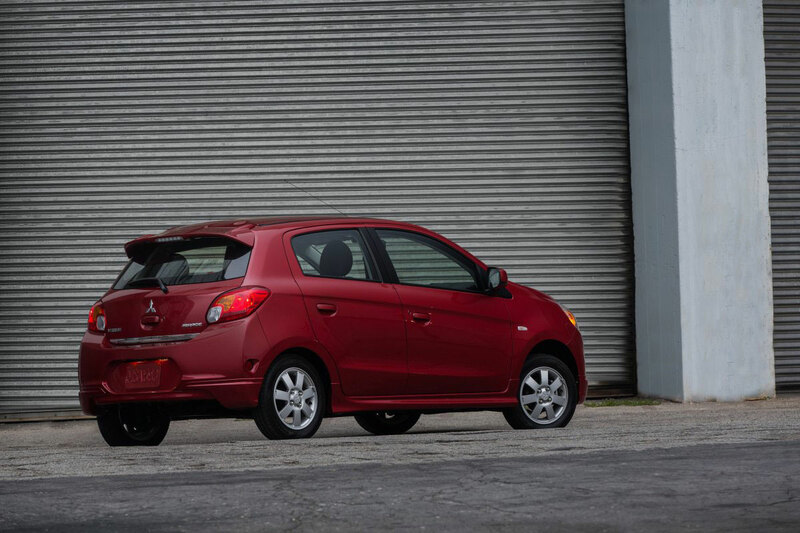 Mitsubishi has posted some preview pictures of its 2014 Mirage subcompact hatchback on its website. There isn't a whole lot of info yet, but Mitsubishi has released a number of pictures of the new car. 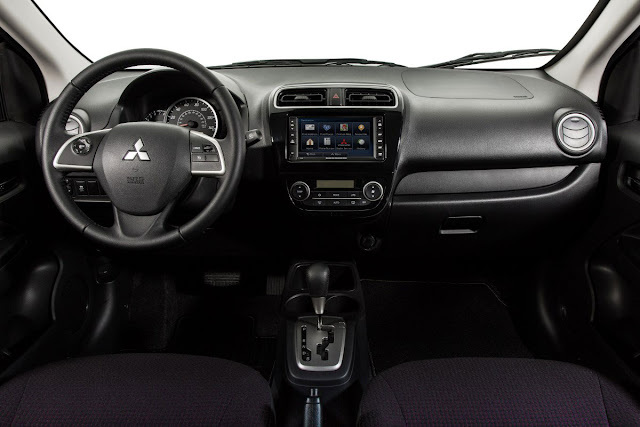 The Mitsubishi website says the car will have an available one-touch start/stop engine switch and will get up to 40 MPG combined (37 city/44 highway) when equipped with a CVT. Mitsubishi claims this will be the most fuel efficient non-hybrid vehicle sold in the U.S.—something Ford has been claiming with its 1.0-liter EcoBoost three-cylinder Fiesta. 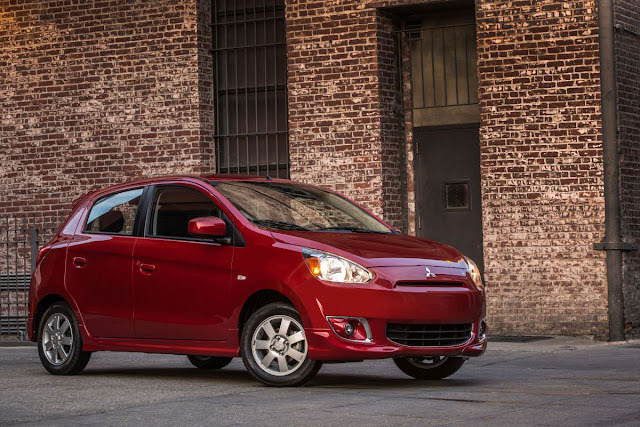 There is no information about the engine size, horsepower figures, or trim levels on the site. However, at the New York International Auto Show, Mitsubishi said it will have a normally aspirated three-cylinder making 74 horsepower and 74 ft./lbs. of torque. 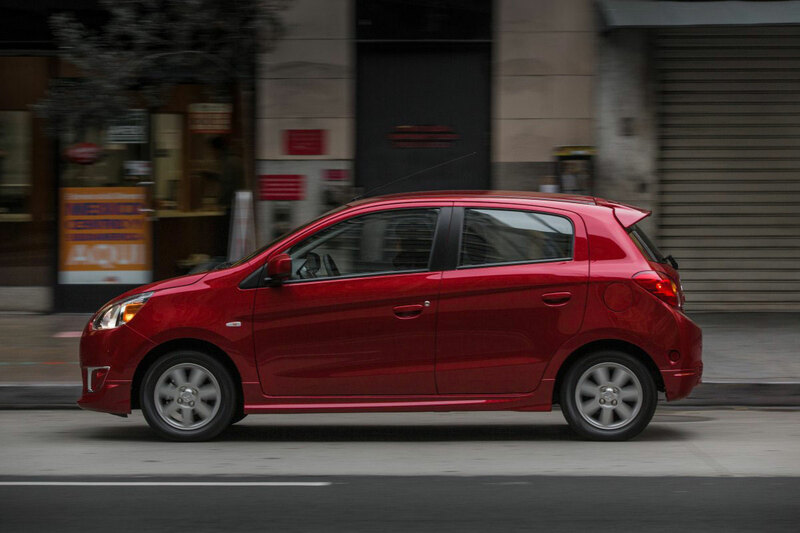 It will also come with the aforementioned CVT or a five-speed manual. There are other features, such as seven airbags, ABS, power windows, etc. Pricing hasn't been released. 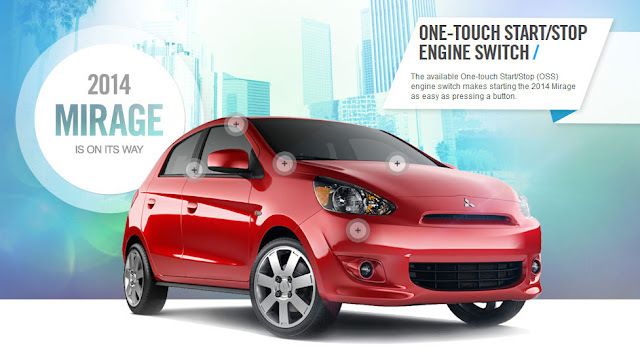 We do know the car will come in several colors, some of which will be quite vivid. Mitsubishi needs a couple of big hits to succeed in the U.S. And while the new Mirage isn't exactly the most exciting looking vehicle in the world, the U.S. trim level looks better than some we've seen out of Asia. And with that kind of fuel economy, it might have at least a base hit—especially if they can hit a home run on pricing.